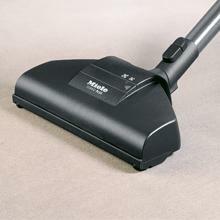 Miele's Complete C3 Calima vacuum cleaner features a Turbo Comfort turbobrush with an air-driven rotating roller brush, which loosens the dirt in the floor. 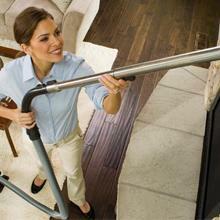 It is ideal for cleaning low to medium pie carpeting, area rugs and all smooth flooring. The Calima also includes the Parquet Twister- providing 180° rotation for the agile, yet gentle care of smooth surfaces. A telescopic, stainless steel wand and long electrical cord, with one-touch automatic rewind, provide a total cleaning radius of 36 feet. 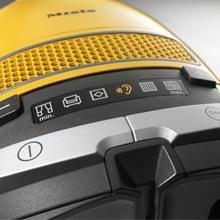 The Calima is also equipped with a six-stage suction control via a +/- foot switch. 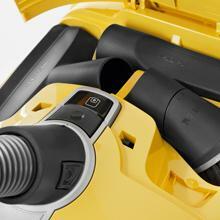 Other conveniences include three integrated accessories: a dusting brush, upholstery tool and crevice nozzle- and a 3D bumper. 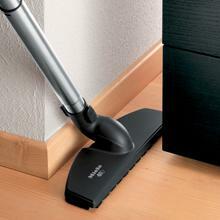 Contains a rotating roller brush that works to loosen the dirt in the floor while collecting lint and thread. 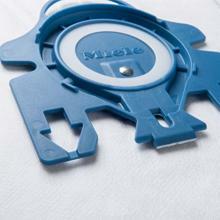 The Parquet Twister rotates 180° offering exceptionally agile cleaning for all smooth flooring. The Complete C3 Calima features three convenient onboard accessories including a dusting brush, upholstery tool and crevice nozzle.